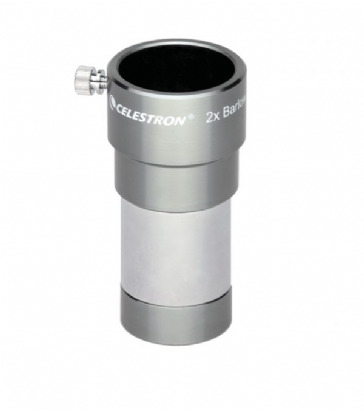 A Barlow is an enormously valuable accessory which when inserted into the telescope's focuser before the eyepiece instantly doubles (or triples, in some instances) the magnification. 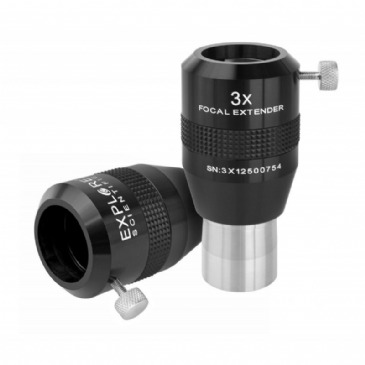 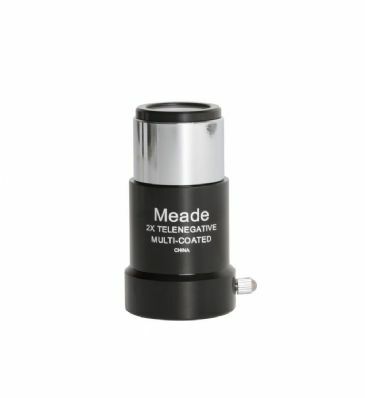 At the expense of a small loss of light, this very useful device can double your eyepiece investment by making each perform at two powers. If you are contemplating purchasing a Barlow with a set of eyepieces, give some thought to staggering the focal lengths to avoid duplication. 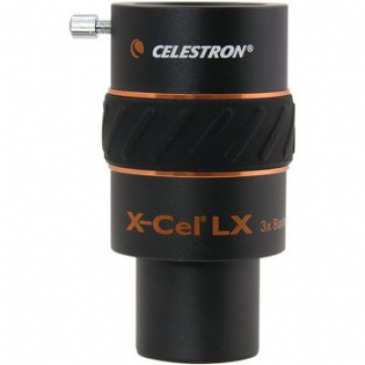 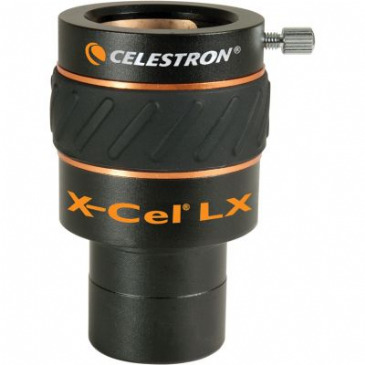 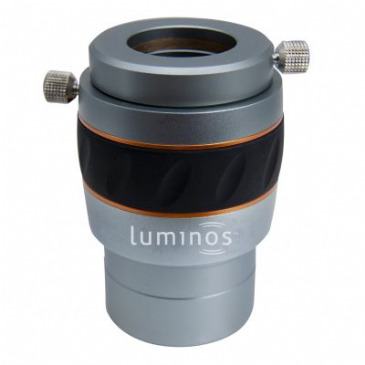 For example a 10 mm eyepiece is largely redundant as a 20 mm and a 2x Barlow will offer the same power. 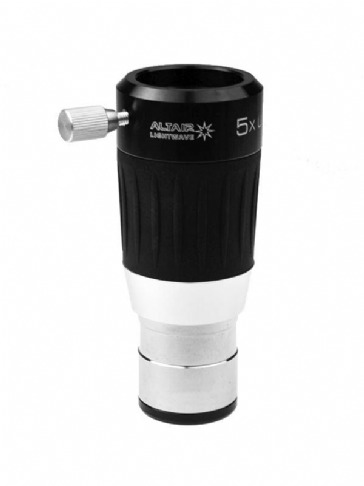 A barlow can also be used in conjunction with other devices such as cameras and webcams.The higher power barlows (eg 3x) are particularly useful when used with a webcam for planetary imaging. 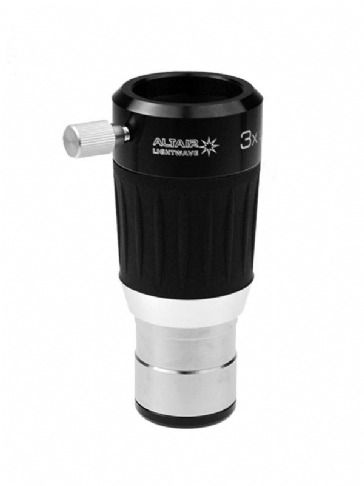 As well as effective magnifying power Barlow lenses also come in 1.25 and 2 Inch sizes. 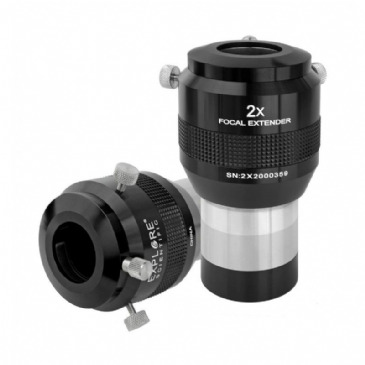 2 Inch, 2.5x Barlow with 4-element fully multicoated lens assembly offering superb field flatness and minimal chromatic aberration.